As you begin designing your first WordPress site, there are a few basic features you’ll want to become familiar with. For example, you’ll need to learn how to use default content types such as pages and posts. In addition, it’s essential to understand the ins and outs of WordPress widgets. Widgets are simple elements you can use to build your website’s sidebars (and potentially other areas, as well). They enable you to easily add text, links, and various types of information to designated areas (determined by your theme). The default WordPress widgets are sufficient for many sites, but you can also download additional options if you’d like. In this post, we’ll tell you everything you need to know about widgets. This includes what they are, how to use them, and what options they provide. Plus, we’ll introduce a few plugins you can use to add even more widgets to your site. Let’s take a look! 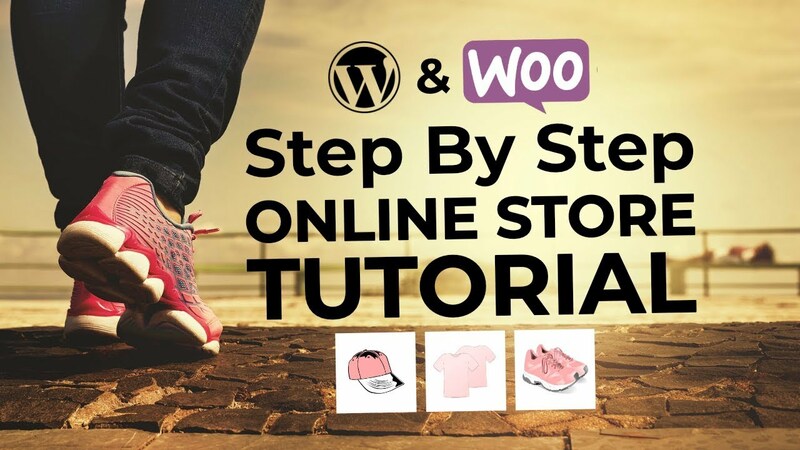 WordPress is designed to be a beginner-friendly platform that anyone can use. Even if you have few technical skills and no knowledge of coding, WordPress makes it easy to customize your site to fit your needs. Widgets are one of the options WordPress provides to make that happen. A widget is a pre-built module that adds a specific feature to your site, such as a search bar or a list of recent posts. It can be placed into one of your site’s ‘widget areas’, which are defined by your theme and are usually located in the sidebars and/or footer. Understanding how widgets work is essential, since they are a very simple way to customize your site and include the exact elements you want. Here, you’ll see a list of the default WordPress widgets, each with a title and brief description. On the right, you’ll find one or more designated widget areas, with headers (such as Sidebar or Footer) to tell you where they’re located. Depending on your theme, there may already be some widgets in these areas. In addition to the method above, it’s also possible to add widgets to your site using the WordPress Customizer. The process is quite similar, just located inside the WordPress Customizer. And the advantage of that approach is that you can see what your widgets will look like on the front end of your site in real time. Beyond that, many of the default widgets include various customization options as well. Let’s take a look at some of the most important features you have access to. Out of the box, WordPress comes with a small but useful collection of widgets. The ones you use will depend on your site’s needs and audience, but there are a few that are worth checking out regardless. There’s a space for a title, then a miniature version of the WordPress editor. Using this widget, you can add nearly anything to your sidebar. This could be simple text, a collection of links, or a media file. This module is as simple as they come. The only customization choice here is the title (which is optional). However, this widget is crucial, since it will add a fully functional search bar to your site. Providing visitors with a search feature helps them more easily find what they’re looking for. As the name suggests, this will add a list of your most recently published posts to your widget area. This is a smart way to encourage visitors to explore your latest content. 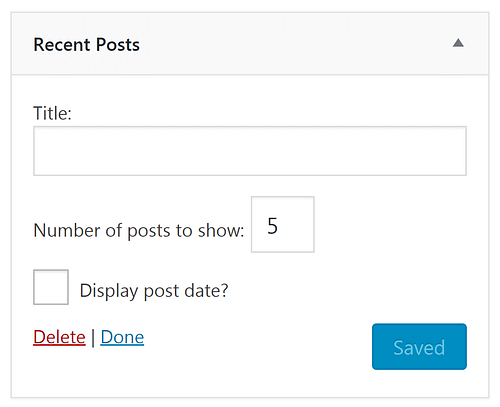 You can add a custom title, configure how many posts will be displayed (up to ten), and decide whether to display each post’s date. We recommend taking some time to look through the rest of the basic widget options. You’ll find that they provide a lot of flexibility. If you want even more choices, though, there are some handy plugins that can help you out. While the default WordPress widgets are sufficient for many sites, some users may want additional options. Fortunately, it isn’t hard to find plugins that will expand your collection of widgets. WordPress Popular Posts: This plugin provides you with a customizable widget that shows off your most visited posts within a particular time range. Image Widget: With this widget, you’ll get a more flexible and customizable image module than the default WordPress option. Recent Posts Widget With Thumbnails: An upgrade to the existing Recent Posts widget, this one lets you add a thumbnail image to each post in the list. SiteOrigin Widgets Bundle: With this plugin, you get a whole new collection of widgets, such as a Slider Widget and a Social Links Widget. Custom Sidebars: This plugin makes your existing widget areas more customizable, such as by enabling you to add different widgets to specific pages. Whatever you’d like to do with your widgets and sidebars, it’s likely there’s a plugin that can help. With a little effort, you’ll have your widget areas customized to perfection in no time! Widgets are a simple WordPress feature, but one that should not be overlooked. Using widgets, you can customize your sidebars with no knowledge of design or coding. Plus, adding them to your theme’s widget areas is as simple as dragging and dropping them, then tweaking a few settings. To start using WordPress widgets on your site, you’ll simply need to navigate to Appearance → Widgets in your dashboard or access the WordPress Customizer. Then, you can drag whatever widgets you’d like to use into your sidebars or footer. There are plenty of default options that enable you to include text, a search bar, and more. For additional flexibility, you can turn to plugins such as WordPress Popular Posts and Custom Sidebars. Do you have any questions about how to use WordPress widgets on your site? Give us a heads-up in the comments section below!